One reason for the show going away has to be the recent birth of Snooki's baby, Lorenzo LaValle (LaValle being French for The Valley, no doubt a reference to his mother). Snooki no longer has time to be a mother, party, do her other show with JWoww AND be on the Jersey Shore. The show wouldn't be the same without her. Other key players who have overcommitted are Pauly D, who has two side projects running; JWoof JWoww who is starring with Snooki in another TV series and Michael Sorrentino who is trying his hand at Situation Comedy. MTV executives also suggest that there is no space in the schedule for any further seasons of Jersey Shore thanks to an exciting line up of more reality TV shows and absolutely no music videos. However, the primary reason for the cancellation is the decline in viewers over the years. While 'fresh and exciting', the Jersey Shore drew in almost 9 million viewers for a single show during season 3. This has since declined to around 5 million per show during season 5. The producers have said they want to "go out on top" and not wait until the popularity of the show totally stalls. 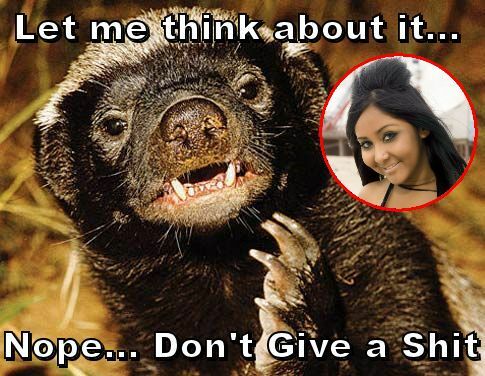 We asked our guest entertainment correspondent, Honey Badger about the end of Jersey Shore. 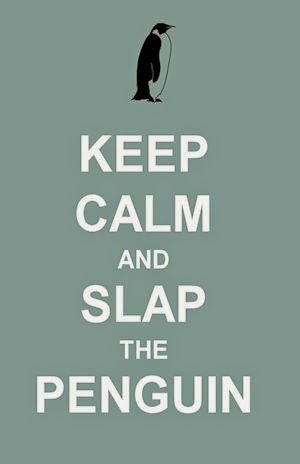 I'm with you Honey Badger.